Wonder Woman, Batman and Superman are shown in the photo below. As one might expect, Aquaman, Cyborg and The Flash get less respect and are only available in the lower priced series. Comic books and the related paraphernalia left the realm of pocket-money purchases for pre-teens some decades ago. Baby boomers are now rife with disposable income, and some of us haven’t forgotten what absorbed our pocket money in the era before computer gaming. With both cinemas and cable networks reveling in the success of superhero franchises, the merchandising has leapt from Lego to luxury. 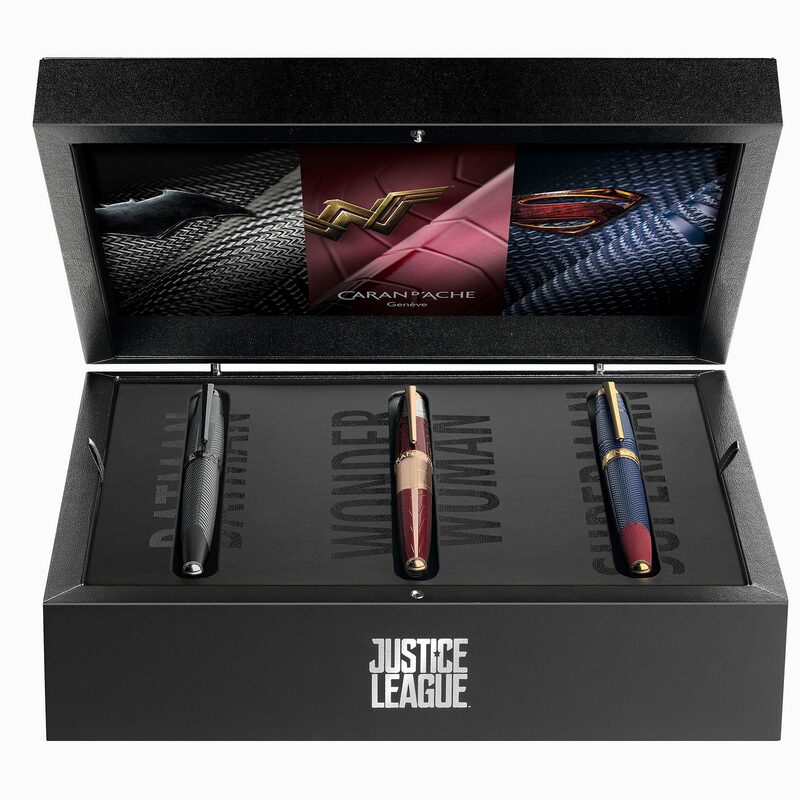 To feed the hungry collector, Switzerland’s premier pen manufacturer, Caran d’Ache, has created two series of writing instruments to accompany the release of this season’s DC Comics blockbuster….